The new FAR3000 Series Chart Radar is a breakthrough in marine navigation, combining Furuno’s enhanced target detection with a refined user interface and new, aerodynamic antennas, as well as a host of new and improved features. The FE800 is a result of Furuno's many decades of experience developing echo sounders, sonars, and underwater application equipment and systems. The purpose of the echo sounder is to provide safe navigation by detecting the clearance below the ship (particularly in shallow waters) as required on the SOLAS Convention ships by the new IMO standards. Furuno’s GP170D is a highly stable and reliable GPS/Differential position fixing system for ocean going ships, large yachts, ferries and commercial vessels. It is an ideal position sensor for Radar, AIS, ECDIS, Autopilot, Echo Sounder and other navigation and communications equipment. The MU190HD features SXGA (1280 x 1024) screen resolution and a wide range of interface options available that include: 1 RGB analog, 2 DVI (Digital Video Interface) and 3 NTSC/PAL video inputs. The display may be used as either the main or remote display for a variety of marine equipment. Furuno’s Satellite Compasses utilize advanced GPS Kinematic technology. The Satellite Compass performance is not affected by ship’s speed, latitude, geomagnetism, etc. This hybrid integration of GPS receiver technology and a solid-state rate sensor provide accurate and steady heading information, even when bridges or tall buildings block satellite signals. X-Band Radars are used in both recreational and commercial applications. They have a great ability to resolve objects close together at both short and medium ranges. However, X-Band Radars tend to be more sensitive to interference from rain and snow. They have a shorter wavelength for better directivity. GPS Receivers come in a wide variety of configurations, from compact displays to external sensors only. All of our GPS Receivers feature Furuno's GPS/WASS cores that provide reliable and accurate position fixing, critical for the use of your Chart Plotter, Radar and more. With the brand new SABIKI mode your NAVpilot 711C has just become even more capable than before. SABIKI mode lets the autopilot control while you are drifting astern, so you can focus on fishing instead of steering. The RD33 is a navigational data organizer that allows the operator to select the perfect way to display data from interfaced equipment such as GPS, Chart Plotter, Radar, Fish Finder, Autopilot, Instruments and other sensors including engine information. Designed to operate over a wide range of frequencies utilizing a broadband transducer, the DFF1-UHD TruEcho CHIRP network sounder delivers significant advancements in signal clarity and target definition. The clear presentation marks individual game fish and bait fish, even when tightly schooled together or very near the sea floor. 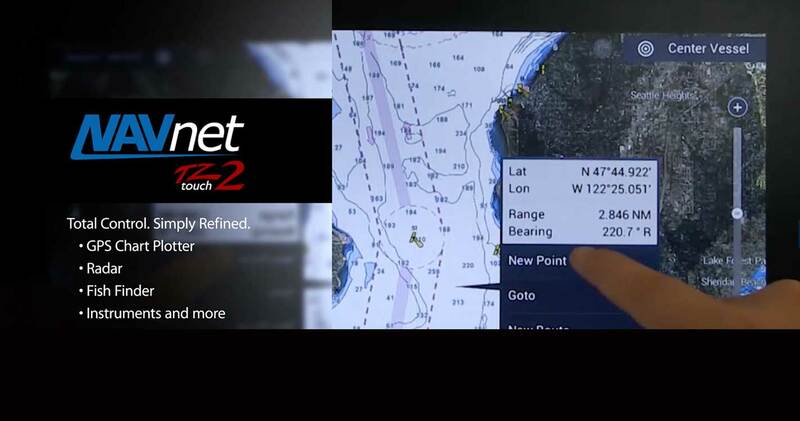 Today's NavNet has come a long way from the first multi-function display. Take one look and you will see just how far. A generous 9" or 14.1" display with edge-to-edge glass makes for a clean and stylish installation (also available in Black Box). Configure the displays with a wide variety of sensors to build a navigation suite that meets your individual requirements. Upgrade Your Helm And Save Up To $1,000! Purchase any quantity of Furuno qualifying products between February 14 and May 31, and get cash back - just in time to discover your next adventure! The more you buy, the more you save! We take pride in providing support and repairs for products that go back to 1970.